Dinosaur Jr. Release Speedy New Track, "Hold Unknown"
The band's first new music since 2016's Give a Glimpse of What Yer Not. 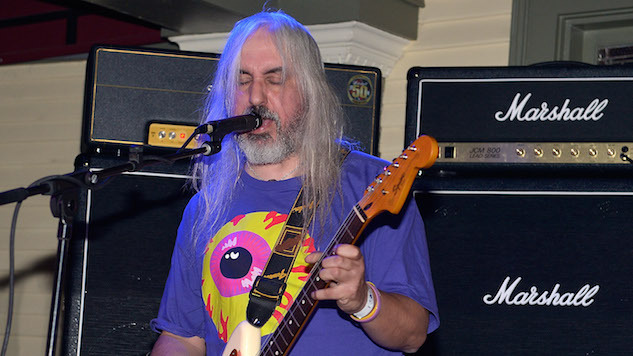 Photo by Charley Gallay/Getty Music News Dinosaur Jr.
Dinosaur Jr. have shared a brand-new track titled “Hold Unknown” for Adult Swim’s Singles Program. The track is the band’s first new music since their critically acclaimed 2016 album, Give a Glimpse of What Yer Not, their 11th studio album. On “Hold Unknown,” frontman J Mascis sings with his typical baritone growl alongside an unfiltered, pedal-to-the-metal sound marked by hurried, melodic guitars and driving percussion. Artists that have previously contributed to Adult Swim’s Singles Program include Julia Holter, Code Orange, Brian Eno, Kevin Shields, Wavves, Ghostface Killah and more. Listen to “Hold Unknown” below and Dinosaur Jr.’s 2009 Daytrotter Session further down.